punk rock trio Potty Mouth released a new single along with an adorable video to melt the hearts of animal lovers. 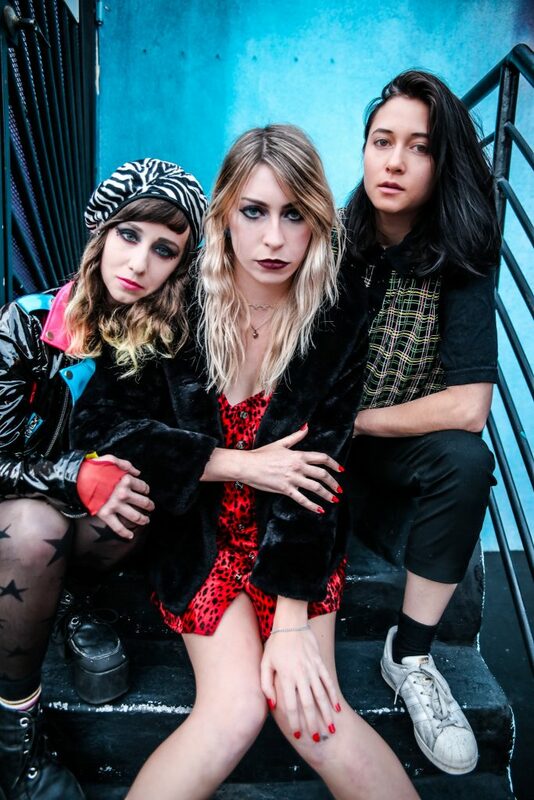 “Starry Eyes,” the second single off of Potty Mouth’s forthcoming second album SNAFU, puts a softer twist on the band’s punk-rock edge, for a sardonic, anti-love song just in time for Valentine’s Day. Having spent the last three years touring relentlessly with acts like Against Me!, The Go-Gos, CHVRCHES and Skating Polly, Potty Mouth’s raw and high energy live show is a sight to behold. Potty Mouth is Abby Weems (vocals/guitar), Ally Einbinder (bass), and Victoria Mandanas (drums).